Learn how the use of social media by your clients and how it affects your case, the use by you in your practice and the use of it by potential jurors are some of the biggest issues facing you today. The law is developing. 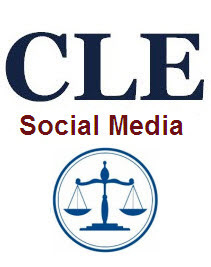 You will also learn Social Media Tools and Strategies for law firms. Course planner, Dennis Feeley esq. has recruited Jon Acklen esq. Greg Spizer esq., Dan Siegel esq. and Dustin Ruge (Lawyer Search Engine Consultant) to speak on this program.